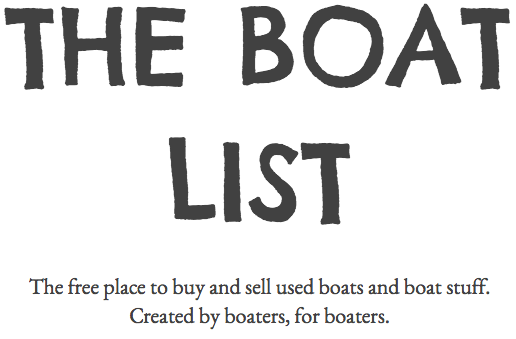 Boatlist.org was created in February 2017 by a sailing couple to fulfill a need they felt existed in the boating community. Our idea was for a simple website where boaters can post their used boat gear and items for sale. Please click “Contact The Boat List” below to send us a comment.